Warmer days are finally here! If you're like me and are always looking for ways to cool down when the weather starts to heat up, you won't be disappointed. Here are 14 super sweet and cool Nutella recipes that will help keep you cool this season! We guarantee you'll find something to try, because after all, who doesn't love Nutella? Nutella Dipped Frozen Bananas by Kitchen Confidante Great for kids and an overall family friendly snack, these Nutella dipped frozen bananas combine a healthier alternative to chocolate covered bananas. Nutella­Swirled Vanilla Ice Cream with Reese's Style Chunks by TheKitchen Prep Blog A perfect blend of crunchy and creamy, peanut butter and chocolate hazelnut make a fanciful combination for this ice cream. Nutella CoolWhip Popsicles by Big Bears Wife Three ingredients is all this popsicle requires for a quick and easy homemade popsicle to throw in the freezer. Creamy Frozen Nutella Pie by Sprinkle Some Sugar No­bake and creamy, this Nutella pie only takes about 10 minutes to whip together. Super easy to through together in the morning, without heating up your house in the summer. 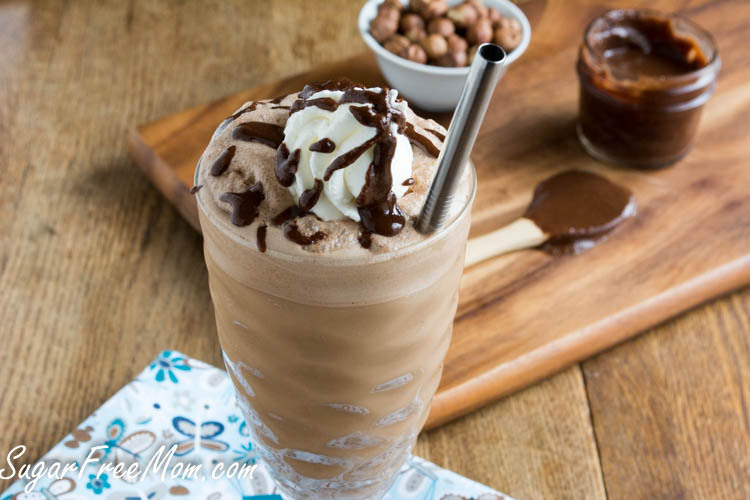 Nutella Coffee Milkshake by Shugary Sweets For a refreshing afternoon snack, try this Nutella coffee milkshake. It has three quick ingredients, and is super easy to throw in a blender! No Bake Nutella Cheesecake by Dessert Now, Dinner Later You only need six ingredients for this easy no­bake Nutella cheesecake. Ready in a couple hours, this cheesecake is great for a chocolate fix without heating up your house! Frozen Nutella Hot Chocolate by Diva's Can Cook Enjoy the flavors of hot chocolate during this summer with this frozen Nutella drink. 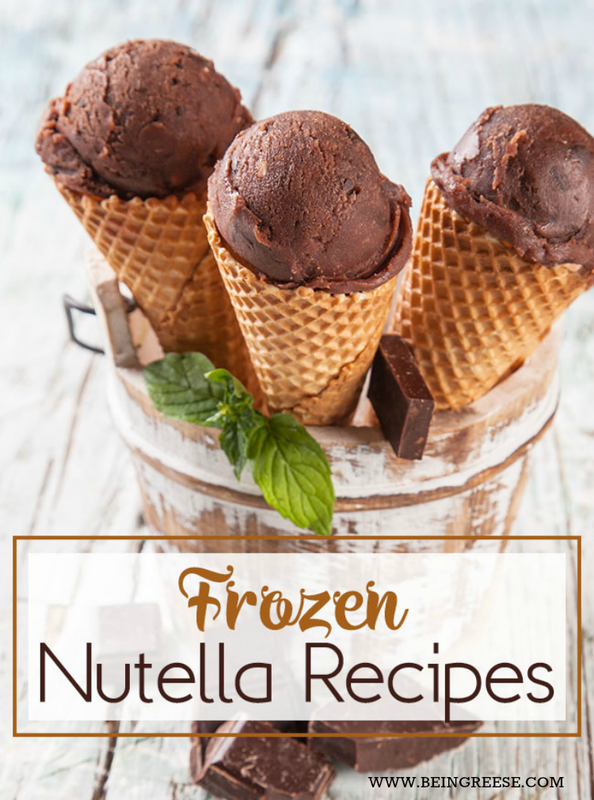 Nutella Frozen Yogurt by Chocolate Covered Katie Frozen yogurt provides a healthier alternative to ice cream. This homemade Nutella froyo is incredibly simple to put together, plus requires no blender or ice cream machine. No Churn Nutella Ice Cream by Reluctant Entertainer One of the easiest homemade ice cream recipes, this ice cream is easy to make ahead of time, which makes it ideal for parties and family gatherings, which is what this blogger did. Layered Oreo Nutella Popsicles by Little Inspiration Popsicles offer the opportunity to layer different textures into a frozen treat. This recipe combines the crunchiness of Oreos and salty hazelnuts with creamy Nutella. PeanutButter and Nutella Milkshake by Chef Savvy This peanut butter and Nutella milkshake takes only four ingredients and five minutes to make! Creamy and rich, this requires no homemade ice cream, which is convenient if you're in a hurry. Nutella Frozen Sandwich Treats ­SkinnyPointsRecipe A spin on graham crackers and frosting, try these frozen graham crackers with Nutella! Easy to make and a fulfilling low­calorie snack. Nutella and Raspberry Swirl Ice Cream Cake with IceCream Cone Crust by The Recipe Rebel This no­bake summer ice cream cake is made with 3­ingredient homemade chocolate ice cream, and has a crunchy cone crust. Rich in swirly colors and flavors, it serves about 12­ 14, making this great for a summer gathering. Nutella is totally my jam. I love it on waffles the most. These treats look amazing. I would make the ice pops for sure because my daughter loves popsicles so much I am sure this will be a big hit. 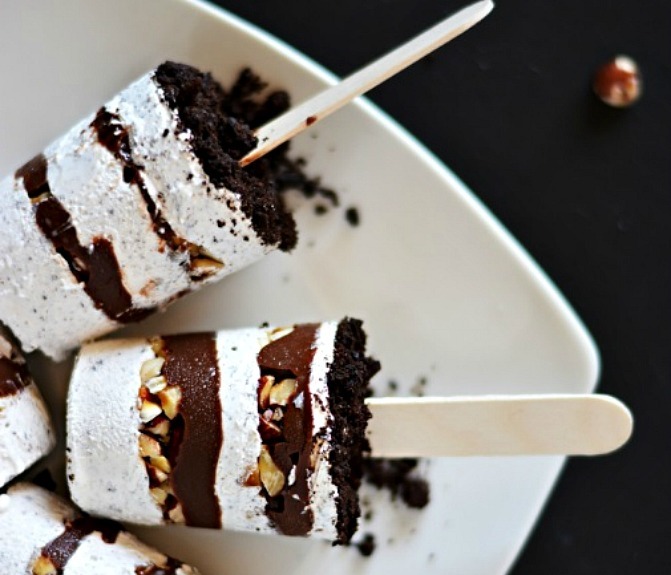 You had me sold when I saw the Layered Oreo Nutella Popsicles by Little Inspiration. Now those are something I can see myself eating and giving to my guest. The milk shake also looks good, this would be one of those drinks you drink while watching a movie or reading a good book. I how I love nutella. I have been hooked ever since I lived in Italy for the summer. Now, hazelnuts are a favorite too. What I would give for a real Italian hazelnut gelato. I love Nutella almost as much as I love Cookie Butter. These recipes are the perfect way to stay cool and treat yourself in the summer. I am trying to lose weight so I will have to practice self-control when making these desserts. NOM!!!! I love Nutella. I want all of these treats right now!! lol!! That ice cream sounds and looks amazing!! Okay, don't laugh - I have not yet tried Nutella! After seeing all of these recipes, and especially the pie and milkshake recipes, I am wondering why?! These all look amazingly delicious! I'll be headed to the store tomorrow! Those Nutella push pops look amazing. I need to make those for the kids. I have had a nuttella no bake cheesecake that was to die for too. I'm not really sure what to say -- I'm speechless. Nutella is one of my favorite things to snack on. All of these recipes look amazing! I'm not sure which one I want to make first! My middle son and oldest daughter LOVE Nutella, they can eat it our of the jar. I know both of them will go for the milkshake first!! The pie my husband will like, he likes pies.